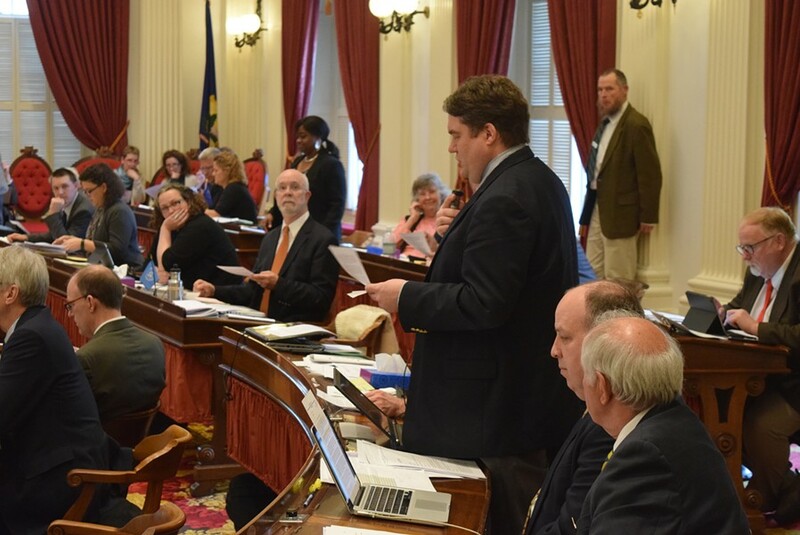 Vermont Rep. Oliver Olsen (I-Londonderry) announced he will resign his seat before the new session begins in January. In a message posted on his Facebook page Sunday, he cited a successful and demanding career as the primary reason for his departure. "With responsibility at work that is now global in scope, I have already clocked more than 100,000 air miles this year," he wrote, "and have come to the realization that it would be a logistical impossibility for me to spend a meaningful amount of time in Montpelier this winter." This has apparently been building for some time, as Olsen wrote that he has been sounding out potential successors "over the past year." Taken literally, that would have begun before he was reelected to the House last November. "More recently, I have had substantive discussions with two well-respected and very capable women who have given serious thought to serving," he wrote, and added his belief that "at least one will come forward and seek an appointment from the governor." Gov. Phil Scott will choose a new representative for Olsen's district; by tradition, that person will be a political independent like Olsen. Indeed, Olsen expressed hope that his successor will be "an independent thinker who understands the unique needs of our region." This is Olsen's second departure from the legislature. He was originally appointed in early 2010 as a Republican by then-governor Jim Douglas to fill a vacancy in the House, and he won a full term in November of that year as a Republican. In 2012 he announced he would not seek reelection, citing family and career pressures. Two years later he decided to run again, that time as an independent. He won in 2014 and was reelected in 2016. Olsen is one of a small group of independent representatives who tend to be socially liberal and fiscally conservative. He is the second of them to resign this year; this summer, Adam Greshin of Warren left the legislature to become Scott's finance commissioner.